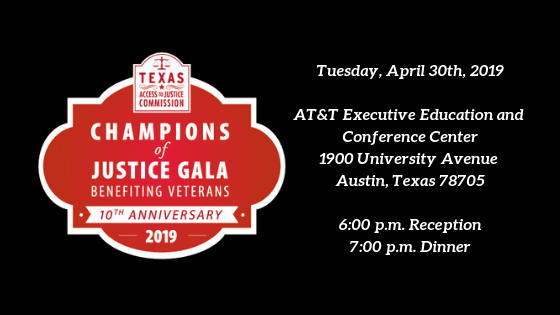 On April 30, 2019, the Texas Access to Justice Commission and the State Bar of Texas will host the 10th Annual Champions of Justice Gala Benefiting Veterans at the AT&T Conference Center in Austin. Proceeds directly support civil legal aid to low-income veterans in Texas. Phil Klay is a graduate of Dartmouth College and a veteran of the U.S. Marine Corps. He served in Iraq’s Anbar Province from January 2007 to February 2008 as a Public Affairs Officer. After being discharged, Klay received his MFA from Hunter College. He is the author of Redeployment, a powerful collection of short stories that takes readers to the front lines of the wars in Iraq and Afghanistan. In his book and public lectures, Klay explores the complex feelings of brutality, faith, guilt, and fear that a soldier experiences during war, while also revealing the isolation and despair that can accompany a soldier’s homecoming. With his stark, realistic depictions of war, Klay’s book has been praised as “one of the best debuts of the year” by the Portland Oregonian and author Karen Russell calls his writing “searing and powerful, unsparing of its characters and its readers.” Redeployment won the 2014 National Book Award for Fiction and the 2015 Chautauqua Prize. His writing has also appeared in the New York Times, Granta, Newsweek, The Daily Beast, the New York Daily News, Tin House, and The Best American Nonrequired Reading 2012. 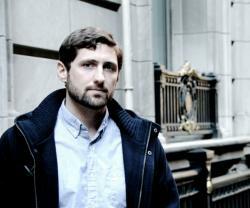 For more information on Phil Klay, please visit www.prhspeakers.com. Learn more about sponsorship opportunities or buy tickets now! We deeply thank the State Bar of Texas for co-sponsoring this event, ensuring that proceeds directly support legal aid for low-income Texas Veterans. For more information about sponsoring or attending the event, please contact Kaitlyn Eberhardt, 512-427-1730 or keberhardt@texasbar.com.